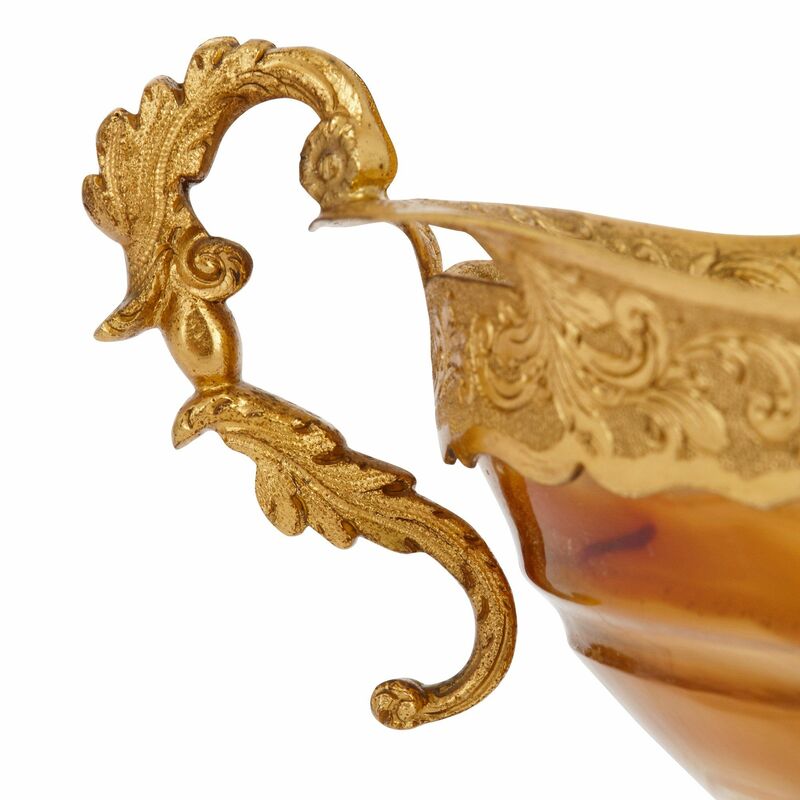 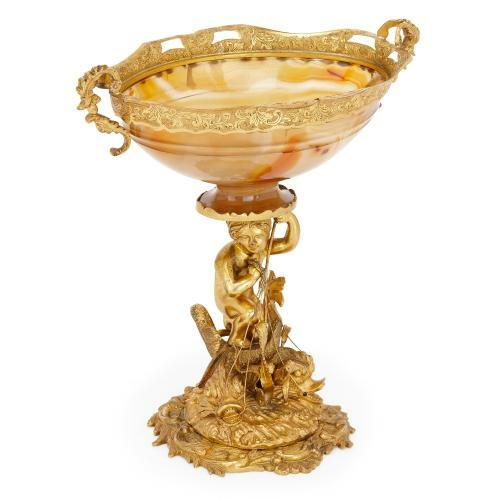 This tazza uses the finest materials combining skillfully crafted gilt bronze with agate, the natural orange and yellow crystalline rock material. 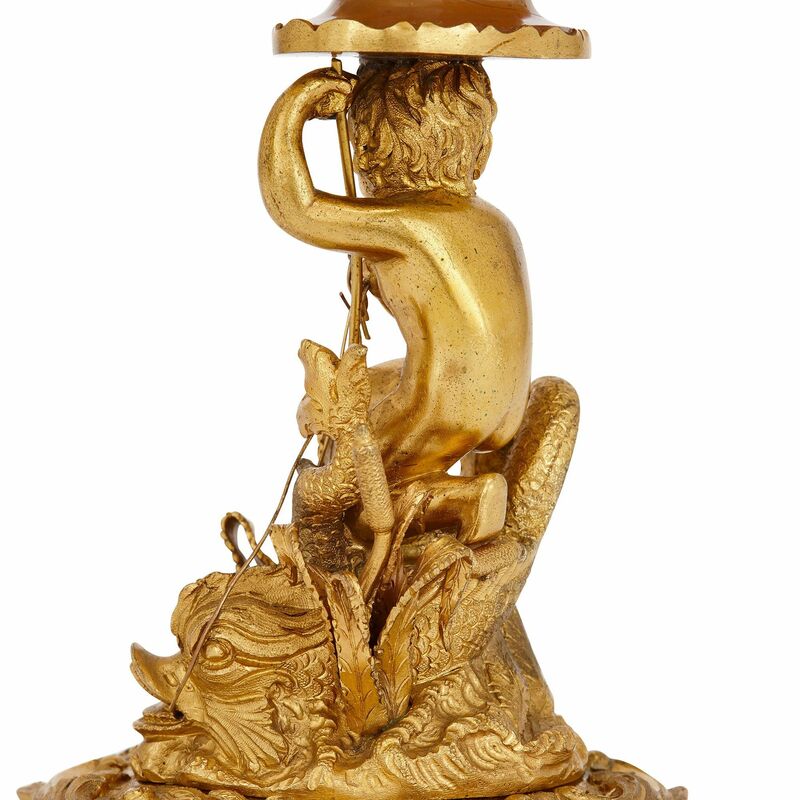 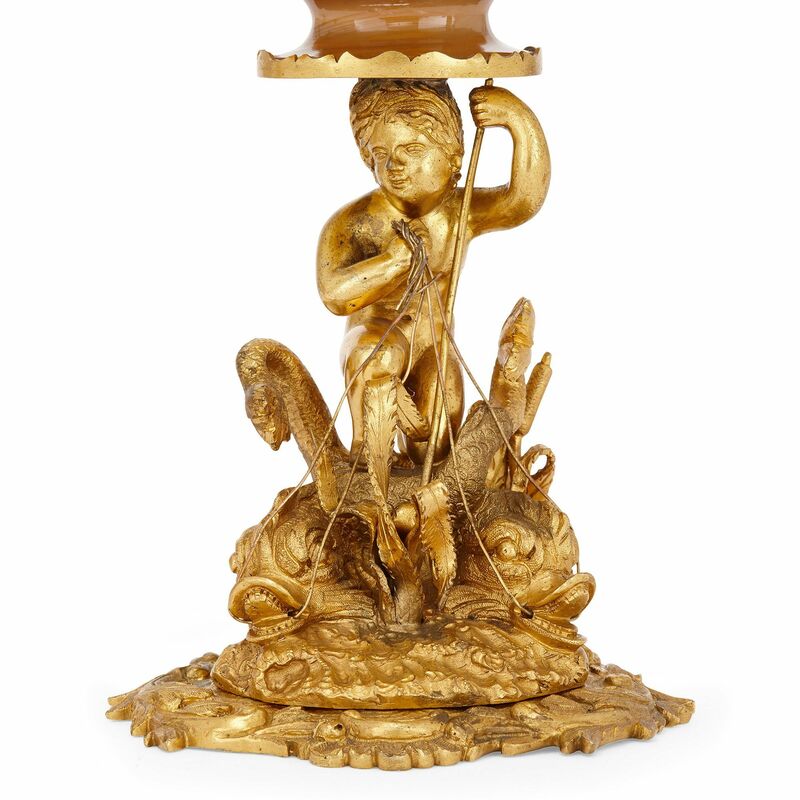 The centrepiece tazza piece is modelled as an ormolu boy standing on two sea creatures from classical mythology, all set on a naturalistic ground. 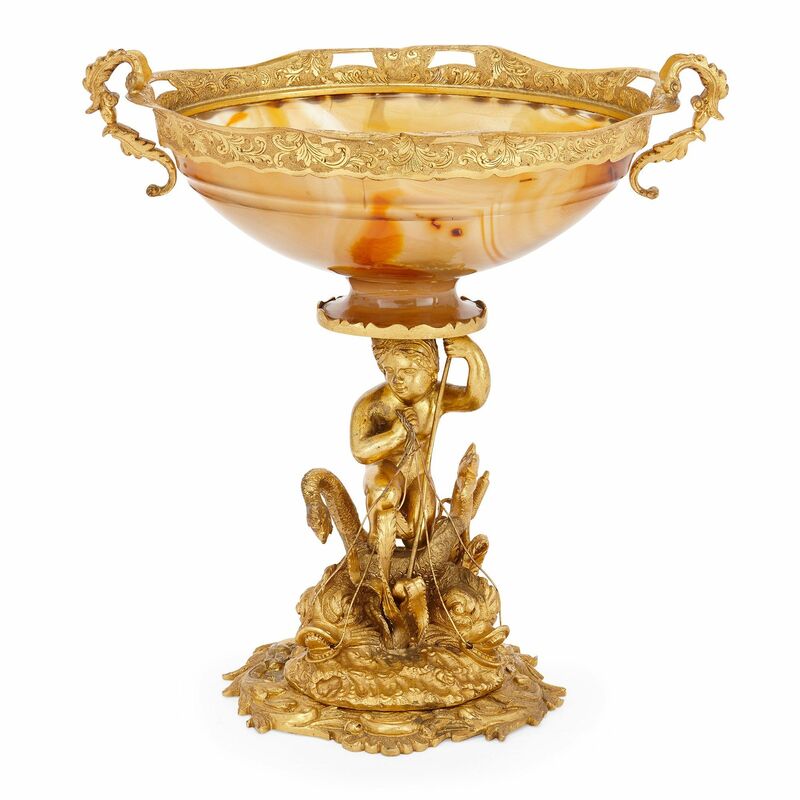 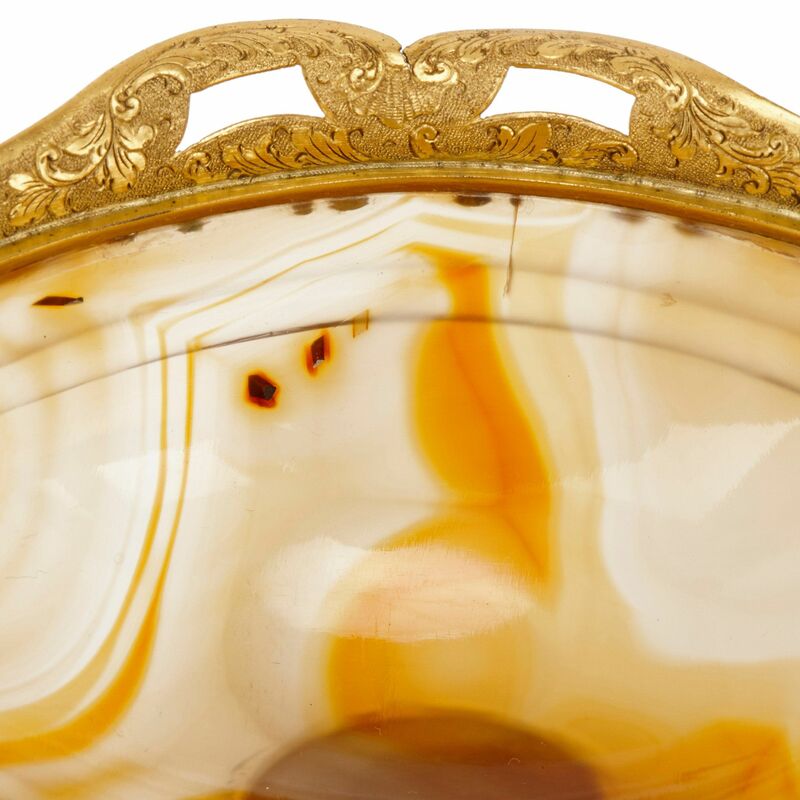 The base supports a fine bowl made from agate, mounted with a twin-handled frame in ormolu.